Supporter of the mission of CARP. Home computer with high-speed internet connection. Outbound calling to recently expired CARP and Zoomer Magazine subscribers who have yet to renew. Soliciting renewals. Offering updates on CARP’s latest advocacy initiatives and member benefits. Answering questions about CARP and Zoomer Magazine and updating membership database. 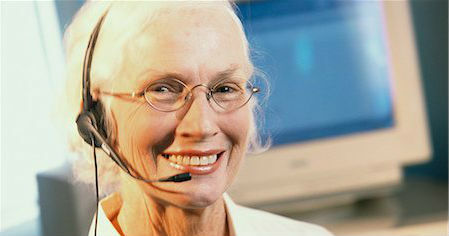 Great communication skills and professional telephone manner. Computer literacy with solid understanding of web, email and data entry. Willingness to promote CARP to your peers and encouraging them to renew. Previous sales and customer service experience an asset. Training will take place at the CARP headquarters in Liberty Village, Toronto. Position will move to home-based work, during business hours (8 am-8 pm), using your home computer, once training is successfully completed, and/or work from our offices on a part time basis. As a CARP member, you recognize the value of our advocacy work and the contribution that our association makes toward improving the lives of Canadians as we age. CARP’s advocacy has led to important wins for seniors in Canada, including the protection of Old Age Security and the return of eligibility to age 65. We have helped to end mandatory retirement, increased the GIS for the poorest seniors today, and the CPP for future retirees. CARP led the charge on pension income splitting and continues to fight for its protection. CARP successfully fought for reduced hydro rates and drug costs in Ontario. While we are first and foremost an advocacy association, our members benefit with discounts and savings from a number of best in class recommended partners, offering substantial savings on products and services including insurance, financial services, mobile phones, restaurants, travel, entertainment, vision and eye health. Our advocacy successes are due in large part to our size. A strong membership base brings with it political clout and the opportunity to foster change for the better. CARP is recruiting members like you, to help us reach out to fellow members and invite them to renew their CARP cards to ensure that our voice continues to grow.